Using wikis and forums for writing practice in ELICOS courses, by Jade Sleeman from La Trobe Melbourne International College. You can download the article here or access the whole issue from the English Australia website. Jade has kindly offered to be available to join in the discussion. In the meantime, I suggest you use the next few days to read the article, and I’ll post some guiding questions in a couple of days’ time. It was encouraging to see a good number of votes for the other two articles, and congratulations to all four authors on their excellent contributions. Welcome to the voting page of the second Article Discussion Group. The idea is for us all to vote for our preferred article from the latest English Australia Journal, read it, and then join in a moderated discussion of the article. Authors will either join in on the discussion, or respond offline to points raised and questions asked, facilitated by the moderator. For the time being, the discussion will take place on the #AusELT Facebook page (although this may change in future) and this discussion is scheduled for 15-21 June (Reading time) and 22-28 June (Discussion time). The articles are all relevant to many of the contexts in which AusELT folk practice. They are primary research articles, that is, the authors have devised and conducted their own research study and reported their findings. In addition, each article has been peer-reviewed, meaning that the editor has invited leading TESOL scholars to review and offer suggestions for improving earlier drafts. We have some excellent reviewers who, together with the authors, have ensured you receive the best quality research reports upon which you can make some decisions about your own teaching. In order to assist those who are new to reading research articles, the moderator will orient you by providing a summary of the research design and the overall purpose of the research. The discussion will not only focus on how the article can inform your own teaching, but also on opportunities for further research in any form. It will hopefully spark ideas for improving the quality of life in many classrooms! Each article has an abstract for you to read; after all, just as you can’t judge a book by its cover, you can’t judge a research article by its title. The complete articles are all open access, freely available online here and can also be downloaded in pdf here. The chosen article will be made available as a pdf and available for download on this page. Utilising the collaborative affordances of Web 2.0 tools, this study examined how writing practice can be facilitated in English Language Intensive Courses for Overseas Students (ELICOS) with a view to improving learning outcomes. In this study, wikis were used to practise writing with a class studying Advanced Academic English, with discussion forums used as a follow-up online activity. Though student contributions were initially tentative, their participation exhibited elements of an emerging community of practice, where there was the opportunity for more competent students to provide models of participation and practice to those students that were less confident. Though the writing skills of stronger students were not seen to improve, results from the study suggested that many of the weaker students that engaged actively in the online activities may have improved their writing abilities. Material used by pre-service English language teachers, such as those preparing for, or already on, courses such as the Cambridge English Certificate in Teaching English to Speakers of Other Languages (CELTA), needs evaluating to accommodate our continually evolving understandings of learning teaching in a rapidly changing world. Materials evaluation exercises may rely too heavily, though, on the ‘armchair evaluation’ of experts who may never use the material themselves and indeed might have imperfect understandings of the needs of novice teachers. This article reports on an attempt to access CELTA-type trainees’ cognitions and practices through interviews, questionnaires, reading and reaction protocols, and the analysis of a lesson plan, with a view to this informing the materials evaluation and revision process. In our study, this combination of methods, with the research design evolving out of efforts to reduce the threat of researcher bias, generated useful insights, which then fed into the revision process. There are implications for how material used in other teacher education contexts is evaluated. Teachers often advise students on their classwork, but the discourse features of this activity have not been widely studied. Moreover, while corrective feedback (e.g., Bitchener, 2008) has been subject to extensive study in SLA, the classroom discourse in which it occurs has received little attention. This paper examines one phenomenon, called the individual student feedback consultation, that was found in data collected from two Japanese tertiary EFL courses and appears to fit the characteristics of a genre, or ‘a staged, goal-oriented, purposeful activity’ where speakers interact (Martin, 2010, p. 19). This study is situated within systemic functional linguistics and multimodal discourse analysis, and specifically the study of curriculum genres. Five samples from a larger audio-video corpus were analysed for lexicogrammatical, discourse semantic, and multimodal features. Following this analysis, four obligatory stages – Opening, Conferring, Advice, and Closing – were found in all consultations. After presenting the analyses of each stage, this paper closes by discussing possible implications of researching individual student feedback consultations for EFL/ESL teaching and teacher training, as well as for corrective feedback research. This entry was posted in #AusELT ADG, article discussion group, teachers and research and tagged ADG, Article Discussion Group, teachers and research on June 5, 2015 by #AusELT. October 13 saw the kick off of AusELT’s Article Discussion Group (ADG) which was conducted primarily via the Facebook community and focused on a contribution to the latest EAJ – Teaching Pragmatics: An action research journey, in which the authors describe a 3-year project investigating the teaching of pragmatic norms in students ranging from A1 up to refugee learners and tertiary level learners. The following is a summary of the ADG which occurred over the period of about 1 week with the addition of a parallel discussion group at The British Council Hong Kong (BCHK). Question 1: How important is teaching pragmatics for your students? Several people had interested anecdotes and reflections on the issue of importance of teaching pragmatics, ranging from Clare McGrath’s experience of a Japanese student’s confusion in response to the mention that jokes be told at wedding speeches, and Sophia Khan’s mention of Maria Doyle’s blog post on cultural miscommunication, to Mike Smith’s comments on the necessity of including such features on university pathway and preparation courses. He commented that using anything but semi-authentic recordings would be a disservice to his students, but interestingly that much of the “small talk” of the classes centred around what he call day-to-day and orientation tasks such as getting a uni ID card, solving problems such as logons not working and other IT issues, familiarisation with campus surrounds and facilities and joining social and sporting clubs. Several readers echoed their support of the authors’ use of semi-authentic texts in contexts of immediate importance to students. Languine Phil highlighted the importance of grading texts for lower levels but he also questioned the practicality of recording and videoing semi-authentic interactions on a regular basis. Some of the teachers present at the BCHK discussion group questioned the need and relevance of teaching pragmatics in a non-English speaking context, adding that much of the English encountered by their learners would be between non-native speakers of English, and also that there was very little if any teaching of pragmatics in the local curriculum or HKDSE (secondary leaving exam – an interesting reflection on its utility here). They came to the conclusion that, unlike in the article being discussed, there was no immediate relevant context that their teachers could use for the basis of teaching pragmatics extensively. Question 2: Do you use naturalistic texts in your classes? (fully authentic or semi authentic texts) and what benefits do you see to using recorded role plays using proficient speakers as materials to teach pragmatics? What drawbacks? Languine Phil commented that he was a firm believer in teacher-written texts, until he, like Mike Smith, saw the benefit of using authentic texts, with the right support for lower level learners. This might include adjusting features of the text to make important language more prominent. Phil added that he saw the benefit of using native speakers (rather than actors) in unscripted role plays, but wondered how easy it would be to get authentic language out of these texts in practice and how feasible it would be for teachers to use some of their preparation time to start building/creating a public resource bank of semi-authentic recordings. For those teaching in monolingual contexts, you might find James Pengelley’s (*author of this summary) article on teaching sociolinguistic competence useful, which details how intermediate students reacted to comparing the same dialogue conducted by native Spanish speakers (in Spanish) and native English speakers. Mike Smith added his concerns about time constraints that most teachers work under, especially those who are not on long-term full time contracts. He also flagged the issue of needing access to proper video equipment which would require a significant investment to be used in class, although perhaps it might be a worthwhile experiment to pursue lower quality copies for professional development purposes. Clare McGrath added that using online voice recording software (e.g. Vocaroo) would solve any issues of costume, set or lighting that you might find in videos, and wondered if teachers were to focus on a higher volume of shorter voice recordings, it might be possible to build an effective audiobank quickly. Sophia Khan reiterated Mike’s concerns about having enough time (it’s easy enough when you’re on a low teaching load), but she (as did several others in the discussion) felt there was an interesting potential, proposed earlier by Phil, of sharing such resources publicly, say, within the AusELT community, possibly a section on the wiki with a selection of lesson plans and accompanying videos. Sophia’s concerns about grading semi-authentic texts for lower learners was echoed by the Sue Valdeck and the BCHK group who also raised their concerns about the potential of quality control, if a group of teachers were to be allocated additional admin time to work on building a resource bank like this. Agi Bodis wondered what, exactly, was being implied by “authentic” – whether is was native-like, or “not from a course book”, adding that the real issue is what level of pragmatic complexity would be beneficial for a particular learner group e.g. sarcastic language in a dialogue for beginners is too complex but it isn’t ‘inauthentic’. Lesley Ciioccarelli referred to a highly recommended online resource developed by Lynda Yates, Terry Griffin and Jenny Guilfoyle, in conjunction with the AMEP on teaching employability communication skills to adult migrants. Question 3: How useful do you see Simplified Discourse Tasks for your teaching? Agi Bodis and Clare McGrath both added suggestions of adding paralinguistic and non-verbal elements to the DCT (DCT = Discourse Completion Task – for some examples of different kinds of DCTs, Clare recommended this article) used in the article, adding that using DCT’s might be more effective where students are asked to reflect on what was said, rather than what they might say in the same situation. Languine Phil rounded off this question with his belief that DCTs are more (maybe only) effective if they are used frequently in classes, rather than as a one-off. The BCHK group queried the use of DCTs as a valid assessment of students’ ability to use the pragmatic features being tested. They acknowledged the assumption that knowledge of a linguistic feature is likely to precede (and potentially facilitate) an ability to produce it. They also expressed curiosity over the ways in which students in the study were assessed and to the lengths to which the authors went in order to best ensure independence of pre- and post-tests of pragmatic awareness. The discussion then turned to the overarching purpose of action research and they concluded that they felt action research is best served when its intention is to improve understanding and relationships between those in the classroom – they felt that more precise disclosure of the means of assessment in the article would have been an useful addition to the article. Teachers looking for pragmatic lesson ‘frameworks’ in particular may benefit from this. Question 4: It seems that a combination of being explicit by using such things as Discourse Completion Tasks and using authentic (or close to authentic) texts to focus on “formulaic sayings” can be useful for low level learners. To what extent might this “liberate” teachers from dull coursebook content? Sophia Khan commented here that she loved the idea of a coursebook based purely (or mainly?) on naturalistic texts – thought she remained skeptical of any thing like this being published in the near future, until at least publishers begin to move away from the grammar-driven course book syllabus that dominates mainstream materials. Agi Bodis cited the CSWE course book used in the Australia Migrant English Programme. Clare McGrath was able to give detailed insight into the CSWE course book and added that she felt the book was more tailored to giving students information about life and systems in Australia. Clare also added to Agi’s point relating to the importance of the teaching culture at each particular school – where if pragmatics are included in teaching materials or assessment tasks, there would be very little consistency in the way pragmatics were covered, especially by early-career teachers, or those who were changing teaching contexts, especially between Migrant English and ELICOS programmes. Languine Phil posted a link to a chapter from Listening to Australia (and supporting audio files) suggesting that it was a good example of a resource to inspire teachers to start incorporating their own activities to focus learners on features of pragmatics in audio scripts. The BCHK group spent considerable time discussing the possibility and practicalities of adapting their current courses to accommodate a greater focus on pragmatics – with a staffroom of more than 100 teachers, they felt it would be an almost impossible task to meaningfully organise an audiobank in the way Clare had previously suggested. In addition, BCHK was the HQ for developing a “revolutionary”, customer-oriented course called MyClass in which students can choose the topic, time and teacher they wish to study from class to class. It is a listening-speaking-lexis driven task-based course, with graded, scripted materials in every lesson, and attempts to cover some pragmatic features such as ‘sounding polite vs sounding sarcastic’. The question remains whether the distribution of pragmatic features MyClass courses are distributed in a way that is representative of native (or semi-authentic) contexts. The group wondered if adapting the MyClass materials would be a valuable feature of future revisions of the course although it would require significant man hours to do so. Given the unique characteristics of MyClass, and the relatively high need for training in each teaching centre where it has been rolled out within The BC network, the BCHK group also recognised that including a more explicit focus on pragmatic language in MyClass materials would also require further efforts in training teachers in the delivery of the course. Indeed, the group felt there were many examples of pragmatic features that couldn’t be easily taught in class without prepared materials – e.g. the use of silence and, given that each MyClass session runs for 90 minutes, and each group of students varies from session to session, there are limitations on the efficacy of the MyClass platform for covering pragmatics in great depth. This perhaps reiterates the point rased earlier, that pragmatics is most effectively dealt with when the learners have a homogenous target culture. Thanks to all who participated in the discussion – online and face to face – we are all looking forward to the next one! This entry was posted in #AusELT ADG, article discussion group, Pragmatics and tagged Article Discussion Group on November 4, 2014 by #AusELT. 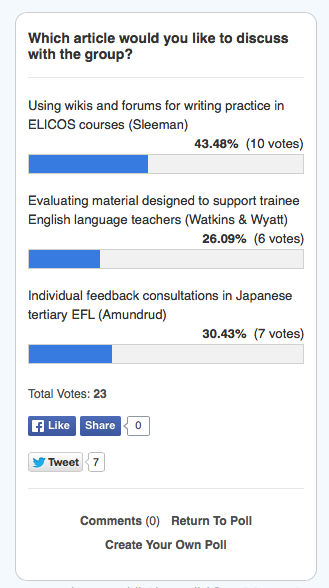 Many thanks to everyone who voted on which article to talk about in the first #AusELT Article Discussion Group, which is scheduled to take place from 13-19 October on the #AusELT Facebook page. 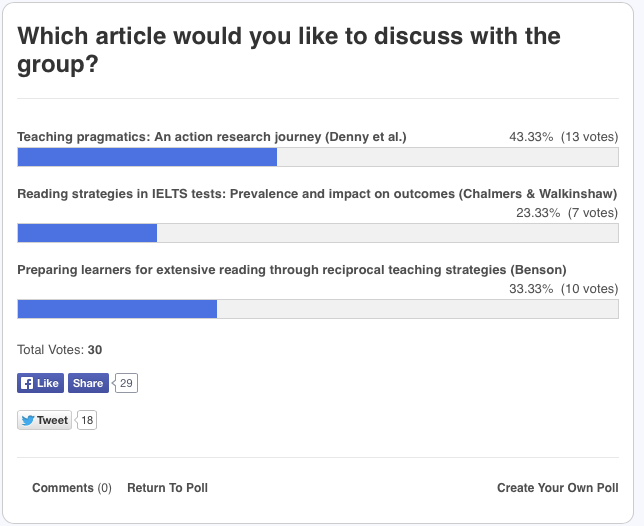 The results were very close but the most popular topic turned out be pragmatics, via the article Teaching pragmatics: An action research journey, written by a group of colleagues from Auckland University of Technology, New Zealand. If you haven’t done so already, you can read the complete article here – but first read this post, which will give you some orientation. The authors, all teachers and researchers at Auckland University of Technology, Auckland, New Zealand, have collaborated on a four-year project aimed at developing materials and methodology for teaching pragmatics to second language learners. Pragmatics focuses on language used in context, and the “norms”, or socially and culturally appropriate ways to use language. I’m sure we’ve all had experiences of when this has broken down, either as speakers of an L2, when speaking with an L2 user, or observing at a distance. I have my own anecdotes that I can share over a coffee or beer one day that made me terribly embarrassed and humbled, all over a socially and culturally inappropriate comment. So, that’s what the article’s about. As with many articles in TESOL and Applied Linguistics journals, it has more than one audience. As well as practicing teachers, it is also written for academic researchers, postgraduate and doctoral research students, teacher educators and teacher trainers. Let’s unpack the article a little so we can tease out some of the interesting activities and findings of these teacher researchers. 2010 – 14 undergrads in a Translation and Interpreting course, mostly Asian background, B2 level. 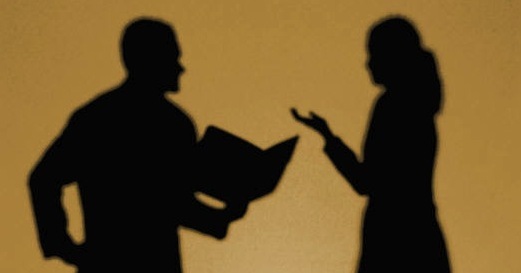 Role plays with expert speakers in “face threatening” workplace situations. 2011 – 15 lower (A1 and A2) level students from refugee and migrant backgrounds (East Africa, SE Asia, Middle East, Pacific Islands). Semi-authentic role plays of invitations, using DCTs (simplified discourse tasks). This outline might help you read through the article more efficiently. I tend to look at sections of most interest first, and then read the whole article through. For example, you might want to read Section 4 first to see what they came up with, and then settle in for a more detailed reading. How important is teaching pragmatics for your students? Think about the language backgrounds and the social and cultural backgrounds of your students. Use Figure 1 as a guide to pragmatic features. We’ll start with this question in the Facebook group on Monday, and will feed in more questions throughout the week. This entry was posted in #AusELT ADG, article discussion group, Pragmatics and tagged #AusELT, ADG, Article Discussion Group, pragmatics on October 11, 2014 by #AusELT. We have a new, regular activity for AusELTers – an article discussion group. The idea is for us all to vote for our preferred article from the latest English Australia Journal, read it, and then join in a moderated discussion of the article. Authors will either join in on the discussion, or respond offline to points raised and questions asked, facilitated by the moderator. For the time being, the discussion will take place on the #AusELT Facebook page (although this may change in future) and the first discussion is slated for 13th-19th October. The articles are all relevant to many of the contexts in which AusELT folk practice. They are primary research articles, that is, the authors have devised and conducted their own research study and reported their findings. In addition, each article has been peer-reviewed, meaning that the editor has invited leading TESOL scholars to review and offer suggestions for improving earlier drafts. We have some excellent reviewers who, together with the authors, have ensured you receive the best quality research reports upon which you can make some decisions about your own teaching. In order to assist those who are new to reading research articles, the moderator will orient you by providing a summary of the research design and the overall purpose of the research. The discussion will not only focus on how the article can inform your own teaching, but also on opportunities for further research in any form. It will hopefully spark ideas for improving the quality of life in many classrooms! Each article has an abstract for you to read; after all, just as you can’t judge a book by its cover, you can’t judge a research article by its title. The complete articles are all open access, freely available online here. The chosen article will be made available as a pdf and available for download on this page. Teachers are often seeking ways to more objectively evaluate new approaches in teaching methodology. 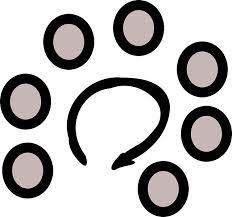 One way of doing this is to carry out classroom-based action research which involves teachers researching their own classroom practice, ideally with collaborative support from more experienced researchers. This summary article will trace a collaborative action research journey involving a series of such projects undertaken to test the efficacy of using elicited recordings of native-speaker roleplay to teach the discourse and pragmatic norms of interaction in communities of practice relevant to learners. It will outline the action research processes of planning and re-planning involved at each stage of the journey undertaken from 2009 to 2012 with learners at a variety of proficiency levels. It will draw out common findings which can be of use to practising teachers, and briefly examine the professional development outcomes for the teachers involved and their colleagues, and the benefits for learners. This pilot study explores whether and to what extent IELTS Academic Reading test-takers utilise expeditious reading strategies, and, where employed, their impact on test outcomes. In a partial replication of Weir, Hawkey, Green, and Devi’s (2009) exploration of the reading processes learners engage in when tackling IELTS Reading tasks, participants in English for Academic Purposes (EAP) courses underwent a mock IELTS Academic Reading test. They then completed a written retrospective protocol and a focus group discussion to probe their reading strategy use and tease out any underlying rationale. The analysis revealed that participants responded to time pressure, unfamiliar vocabulary and demands on working memory by employing a range of expeditious reading strategies which focused less on textual comprehension than on quickly locating correct answers. Their comprehension of texts often remained at the ‘local-literal’ level rather than the ‘global-interpretive’ level (Moore et al., 2012). Their test scores did not necessarily increase as a result. The findings, though preliminary, support further enquiry into test-taking strategies to understand the extent and the direction of impact on test scores. Studies on extensive reading report positive learner outcomes in reading, listening, speaking and writing, gains in motivation and expanded lexico-grammatical range (Day et al., 2011). With this in mind, two teachers at an English language college for adults in Sydney, Australia started to use graded readers in their classes. From the difficulties their students encountered they identified a significant gap in reading instruction in the General English (GE) syllabus at the college. A review of the syllabus highlighted that ‘reading’ was commonly taken from the coursebook and employed an intensive reading methodology. This was not preparing the students for successful extensive reading. To address this gap, a collaborative action research project was conducted to explore if and how the instructional technique ‘reciprocal teaching’ (Palincsar & Brown, 1984) designed to promote comprehension abilities in young L1 learners could be adapted and integrated in to the GE syllabus at the college. The most favoured article is Teaching Pragmatics: An action research journey, written by a group of colleagues from Auckland University of Technology, New Zealand. Download the article at the link above, ore read it directly from the Journal website. 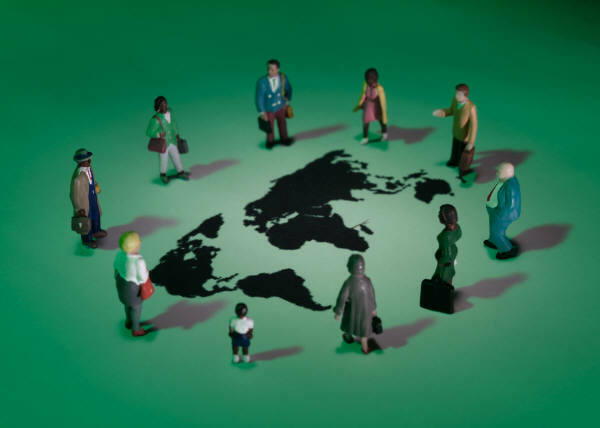 This entry was posted in #AusELT ADG, article discussion group, IELTS, Pragmatics, Reading, Skills and tagged #AusELT, ADG, Article Discussion Group, EFL, ELT, ESL on September 30, 2014 by #AusELT.